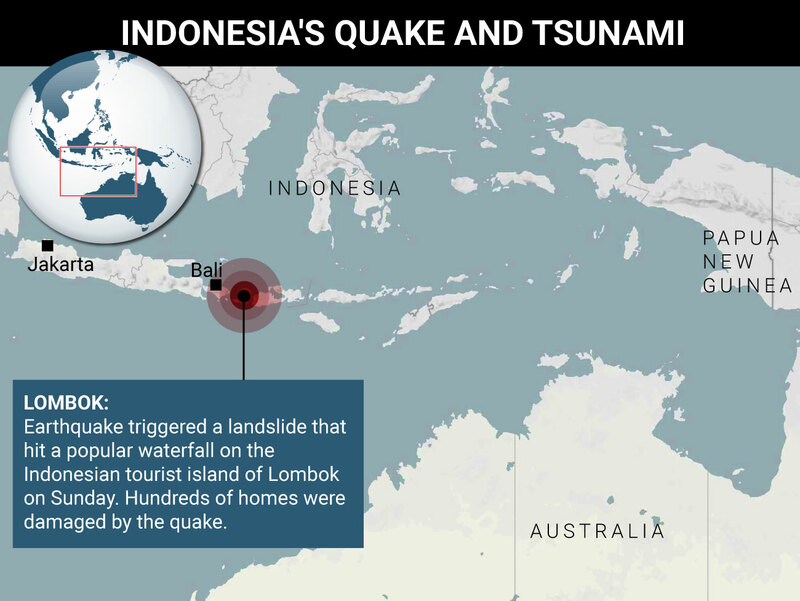 A moderately strong earthquake triggered a landslide that hit a popular waterfall on the Indonesian tourist island of Lombok on Sunday, killing two people, including a 14-year-old boy, and injuring dozens, officials said. To date, 58 people have been killed in landslides or flash flooding in the area and thousands have been left homeless. Two Malaysians, including a 14-year-old boy, were killed in the landslide, Mr Nugroho said. Forty-four people were injured in the quake, including eight Malaysians, Mr Nugroho said. About 500 homes were damaged, including 32 that were flattened. Indonesia sits on the “Pacific Ring of Fire” and has frequent earthquakes and volcanic eruptions. Last September, the country was hit by an earthquake and tsunami in Palu on Sulawesi island which killed around 2200 people.